If you would like to discuss a possible referral with us please contact us in your most convenient way. To make a referral please fill in our referral form, downloadable on this page. The Word document is an editable file that you can enter details into, save and send to us. 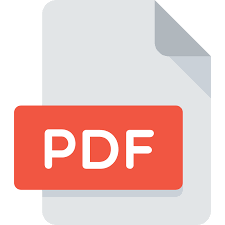 Alternatively, if it is easier to handwrite, you can print out a copy of the pdf file. Please ensure you complete the form as fully and accurately as possible ensuring any possible risks or concerns are clearly highlighted. Any missing information will cause delay to the referral. Once you have completed the referral form you can use the online form below to return it to us. Once we have received the referral it will be passed to one of our Project Workers to be processed. The young person and their family will then be contacted, and we will arrange the most appropriate support with them. *Please note that from time to time we may experience a short delay in responding to referrals passed to us due to the volume of referrals we are dealing with. We aim to deal with this as quickly as possible but, if you would like to check the progress of a referral then please contact us.